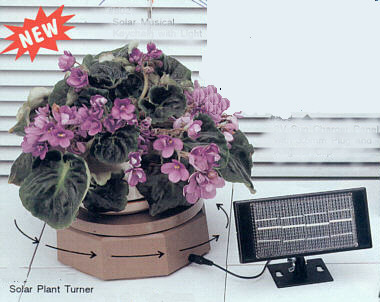 Solar plant "Up Lights" enhance landscaping and brighten outdoor areas, without the need for cumbersome electrical cords. 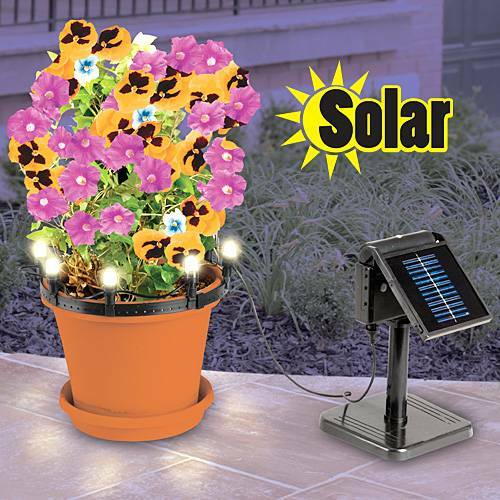 A total of eight detachable LED lights are powered by a long-life solar panel that requires two rechargeable AA batteries (included). 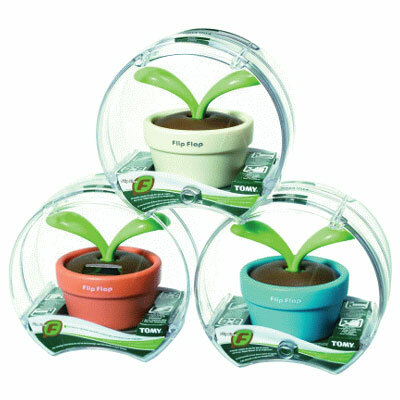 Plastic, 12 x 3" to use in planters up to 22"D.